Victoria High School Green Space is in the seaside city of Victoria, one of thirteen communities that form the Capital Regional District of British Columbia. 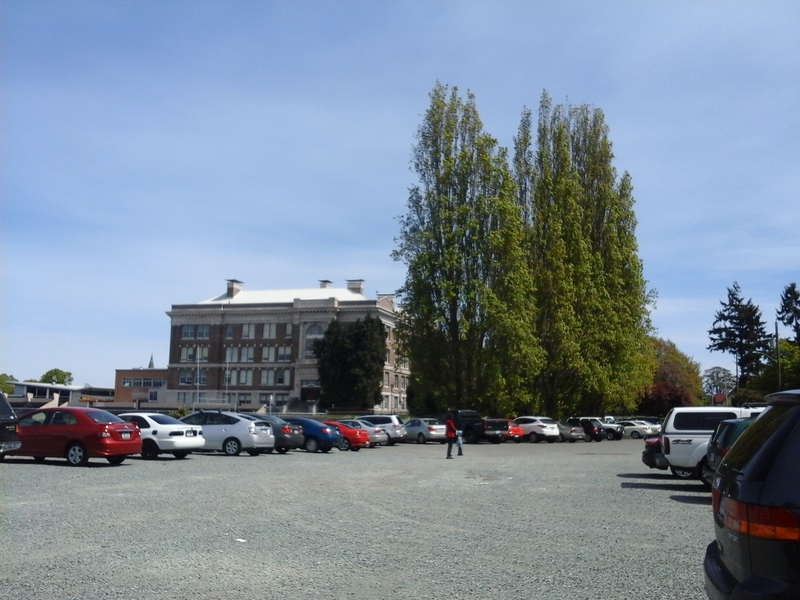 The three story brick building of the Victoria High School was built in 1914 on a one and half hectares in the Fernwood Community of Victoria, BC. As the oldest high school in the Victoria School District 61 it was established in 1876 originally on the grounds that presently house Central Middle School. The school’s green space in Fernwood has several unique outdoor features. A notable contributor to the trees in this green space is an oak tree planted in nineteen-seventeen in honor of Lord Horatio Herbert Kitchener. It stands near Grant Street. In two thousand and eleven several deciduous trees were planted included fourteen memorial maple trees along the walkway to the Vining Street entrance, ten oak trees and a Linden tree. There are two basket courts and a large grass covered sports field bordering on Fernwood Road. Around the back of the school is a very rough oval running track, built in nineteen fiftyone with a grass covered sports field in the center. The southern end of the sports field is shaded by a line of tall Lombardy poplar (Populus nigra) trees possibly planted in the mid-nineteen twenties. 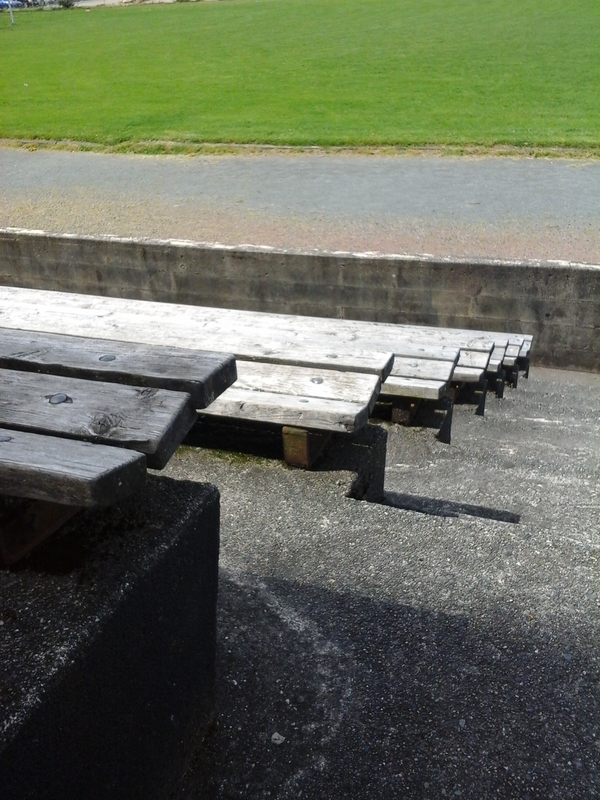 Concrete bleachers over look the track and make a great spot to lounge in the sun or use for an outdoor workout. 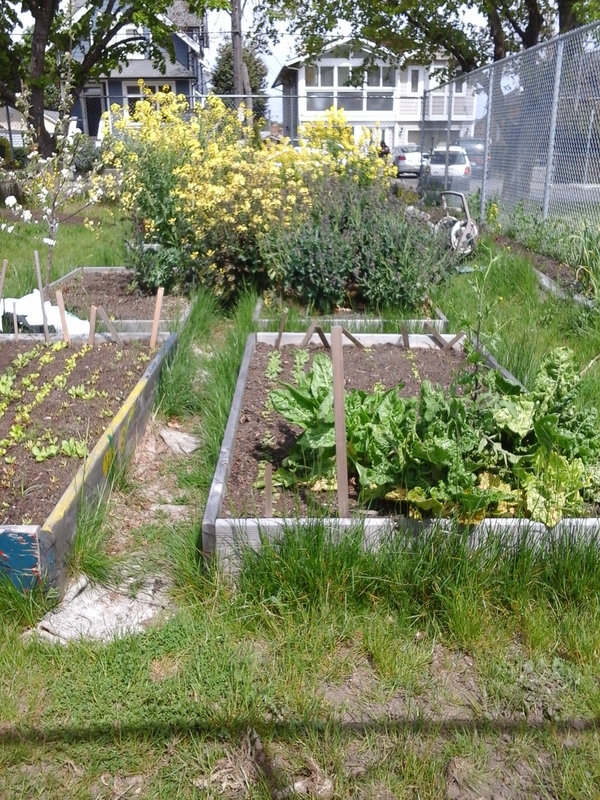 The school raised garden beds are protected by a chain-linked fence near Gladstone Avenue. Haegert Park and the Chamber Street Gardens are one block west of the school’s green space. Stevenson Memorial Park with a playground is across Gladstone Avenue. Vic High Green Space can be reached from the Trans Canada Highway. Continue along the highway as it become Douglas Street. Turn east onto Bay Street and then left onto Fernwood Road. The school borders on Fernwood Road, Grant Street and Gladstone Avenue. City buses travel along Fernwood Road past the school green space.